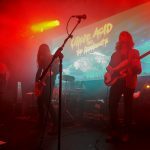 As the cult doom band head to the Arts Club, Getintothis’ Michael Edward finds Uncle Acid solid but middling. 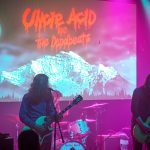 Uncle Acid and the Deadbeats have been growing their cult at a remarkable pace ever since their seminal sophomore effort, Blood Lust, which is in this writer’s humble opinion, one of the best recent doom albums. 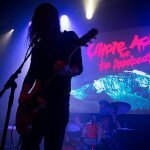 It has a creepy B-movie grain to its production that’s uniquely psychedelic, and combines a hefty dose of Sabbath worship with some evil guitar harmonies, satanic and cultish imagery, and vocals that sound like Lennon’s She’s So Heavy voice bottled. 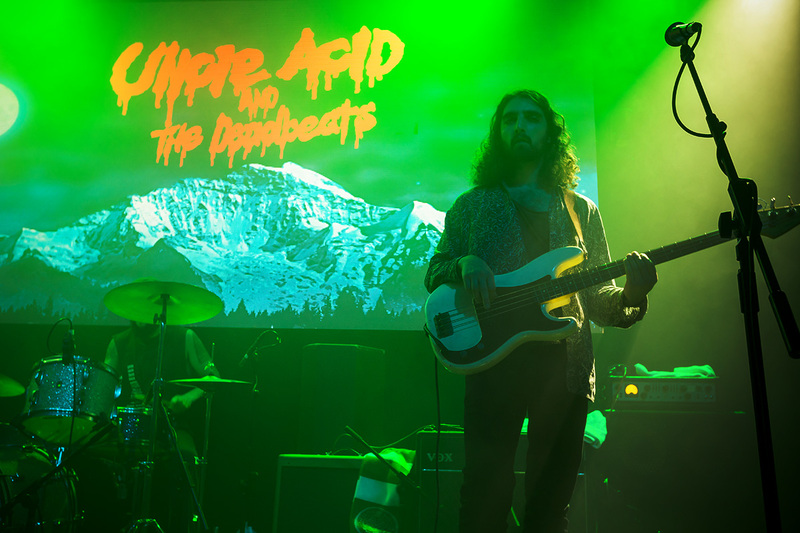 We have seen them once before as openers for Black Sabbath at Glasgow’s enormous Hydro, so we were intrigued to see their headline set in a size of venue that’s more intimate, extortionate beer prices be damned. 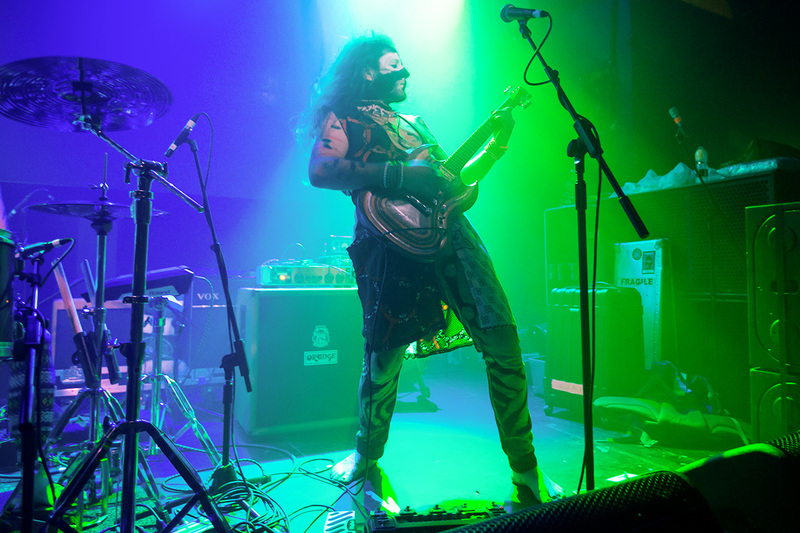 Vodun provided quite the warm up spectacle, casting a striking image. 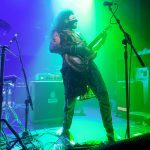 The London three piece, consisting of drums, guitar and a vocalist with an array of percussion not usually standard heavy metal fare, were all head to toe in African war paint. 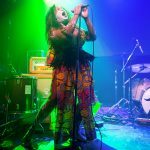 Their vocalist possesses a remarkably powerful and soulful voice, and as she moved on stage she’d completely immerse herself in the rhythm, if not playing percussion, then beating on her legs, compelled to carry on the beat. 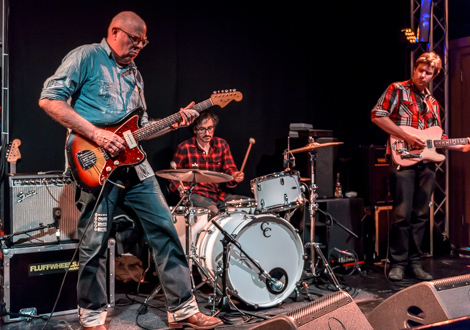 Sadly they were let down by the sound, or perhaps by their lack of a bassist, as the octaved guitar would often sound slightly empty, particularly when a lead line would expose the lack of low end. 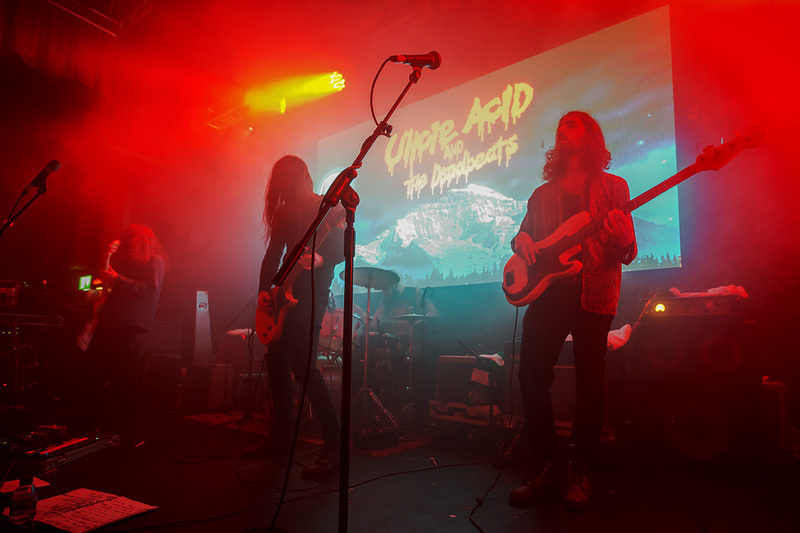 Not until their last song did they deliver on their image’s promise of a transcendent fusion of metal and afrobeat, where they rode a groove masterfully and pushed onwards toward ecstasy. If they can channel that moment for their whole show, then they could be incredible in the future. 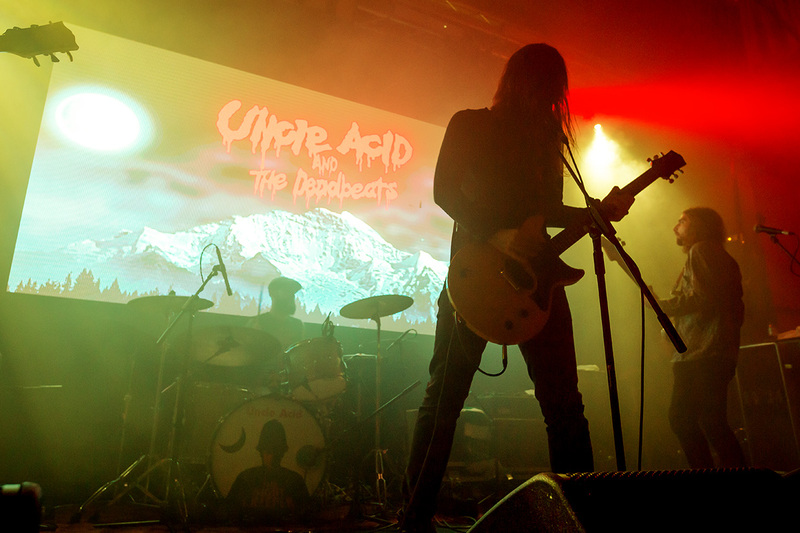 Uncle Acid sounded monolithic in comparison, always moving as one, pushing forward in a consistent powerful dirge. 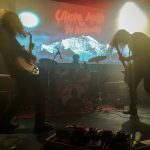 Their drummer, live, reminded us of Sleep/Om’s Chris Hakius, his deliberate consistent pulse always anchoring the sound and keeping the heads perpetually in motion. 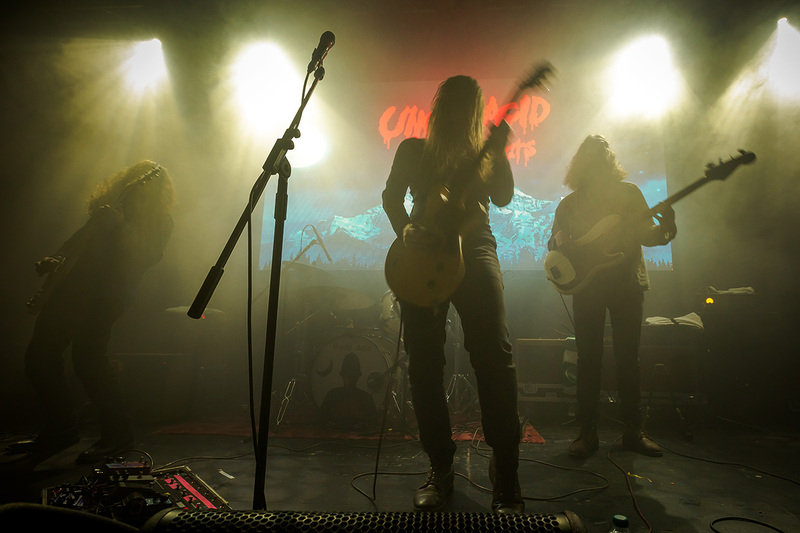 Their vocals, live often summon Scott Wino of St Vitus or Pentagram’s Bobby Liebling, as does their often powerfully simplistic but deft approach to riffs. 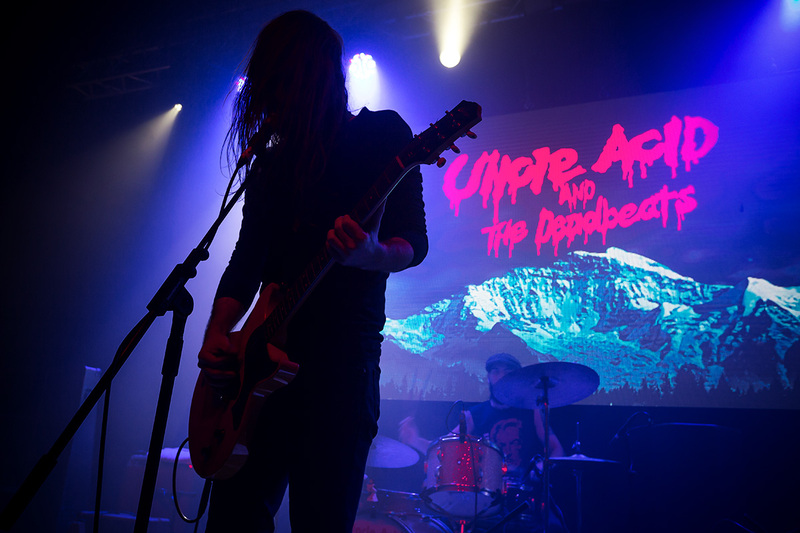 The show started strongly with a fantastic opener possessing a bridge reminiscent of Sabbath’s After Forever, and hit a run of rude form started by a stunning run through of Death’s Door, whose main riff thunders with the primal fury of an angered grizzly bear. 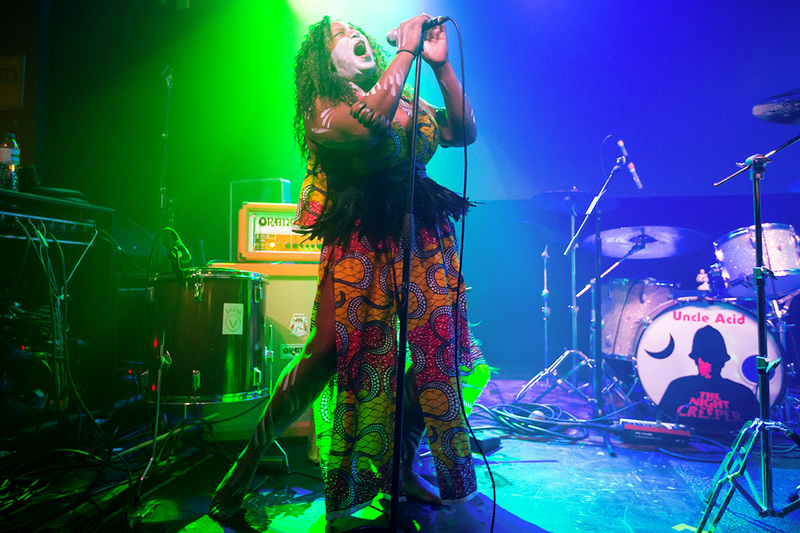 Mid set they brought up Vodun’s frontwoman for a crushing rendition of Preacher Man, though I was disappointed to hear her only add some rather buried backing vocals, as the song’s original delicate falsetto chorus would have been prime fodder for her incredible lungs. 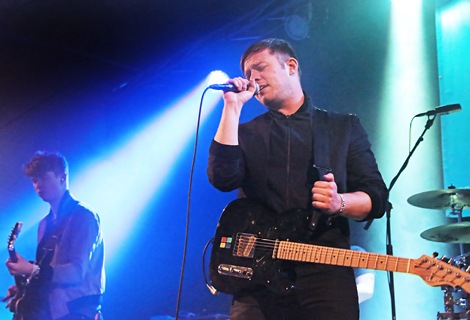 The band seemingly didn’t have their set planned out particularly well though, as after what should have closed the set, they slinked into the Pink Floyd tinged almost ballad Slow Death. Completely wrong footing the crowd, many punters didn’t expect this to be the set’s closer and there was a noticeable exodus to the toilets/smoking area. 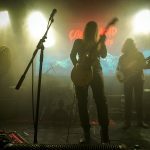 The song itself was the first real musical surprise of the night, but closed with a predictable and overlong bluesy guitar solo that rather meandered. It evidently left the crowd with an odd taste in their mouths as they had to be coerced by the band’s roadie to make enough noise to summon an encore. After another three songs, it became slowly more evident how little sonic variation there’d been in the show, and it had started to drag. 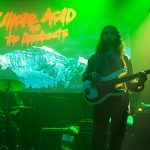 The band has made little progression writing wise since Blood Lust, and this was evidenced by that throughout the set what pulled it along and injected some righteous fire was almost always that material, yet the creepy psychedelic element lent by their studio production was also absent. Every song was played note for note like the record, including the guitar solos, and with their rather stoic stage presence there wasn’t much to fill the void. 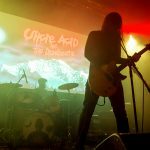 We often found myself watching an audience member who was headbanging so hard he looked as if he was about to throw himself over the barrier instead of the band, who struggled to make a human connection whilst hiding behind their hair. 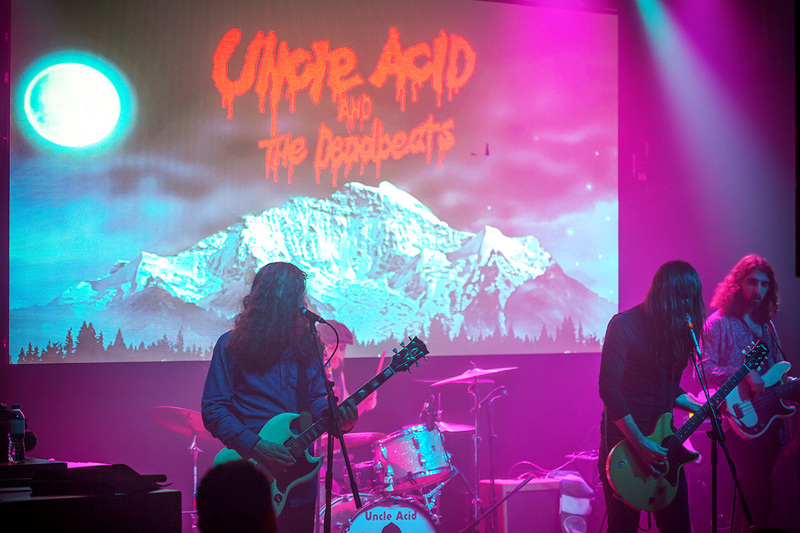 We kept thinking back to seeing them supporting Sabbath, and how they were overshadowed by the masters on that night. The shadow still loomed large in the Arts Club. 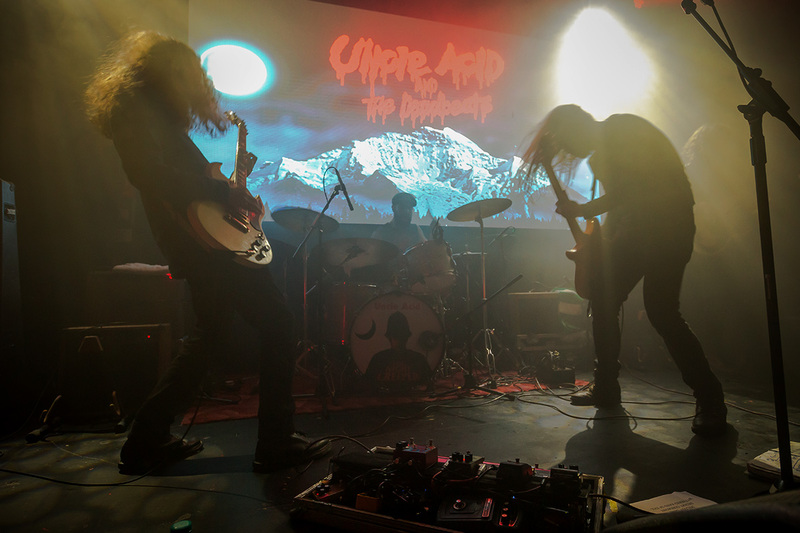 In wearing their influences on their sleeves but not pushing them further than the source material, they don’t manage to reach the heights that some modern doom greats such as Electric Wizard or Sleep do. That said, it was a polished and solid performance, and we’ll always scream along that “I get my kicks from torturing and screams“.